Anatomy forms the basis of clinical examination, surgery and radiology and it is therefore essential that a fundamental understanding of the key concepts, structures and their relationships is gained by medical and healthcare students during their undergraduate training. Anatomy involves the study of three dimensional entities relating to the human body itself and its constituent structures. In our experience, the appreciation of 3D concepts is one of the most demanding areas for medical student learning of anatomy (ben Awadh et al. 2018, unpublished observations). The ability to interpret 3D anatomical features in 2D cross-sectional clinical images can be troublesome, while the dynamic nature of embryological development is a further challenge. The aim of introducing technology enhanced-learning (TEL) approaches into our practice is with a view to enhancing undergraduate medical student learning of clinically relevant anatomy. Here we will explore the importance of visualisation and visual learning in anatomy as a scholarly basis for the integration for TEL approaches. 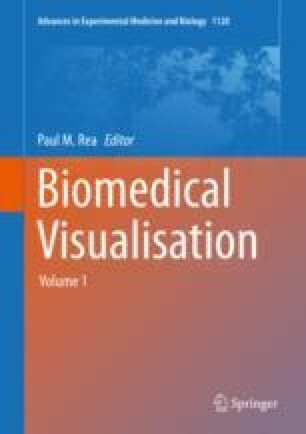 We will then describe examples of visualisation technologies that are currently being implemented within the School of Medical Education at Newcastle University based on a research informed understanding of how students learn anatomy. We will consider the available evidence that supports best practice, identify limitations where they arise, and discuss how these visual 3D learning technologies can be effectively utilised as adjuncts and self-directed resources to supplement more established approaches to undergraduate anatomy education. The authors would like to acknowledge Prof Susan Lindsay, Dr Jill Clark and Dr Gavin Clowry as co-supervisors of the doctoral project of Abdullah ben Awadh. We would like to acknowledge Newcastle University Stage 4 MBBS student selected component project students Christien Li, Christopher Kui, Elgin Lee and Sze Yi Beh for their contribution to 3D printing projects and Dillukshen Muralitharan for contribution to an Alioscopy project. We would like to acknowledge previous Newcastle University vacation research students Jordan Ng Cheong Chung, Gokulan Suthermaraj and Megan Powell for their contribution to Sectra and clinical image interpretation projects. We would also like to acknowledge Sectra, Alioscopy and Raise3D for providing images and technical information.